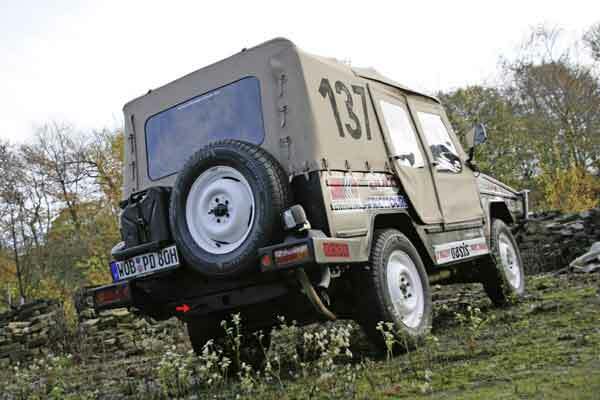 The Edelhoff/Wukovich Team will join the starting line in the United Kingdom with an Iltis from the Volkswagen Classic collection. 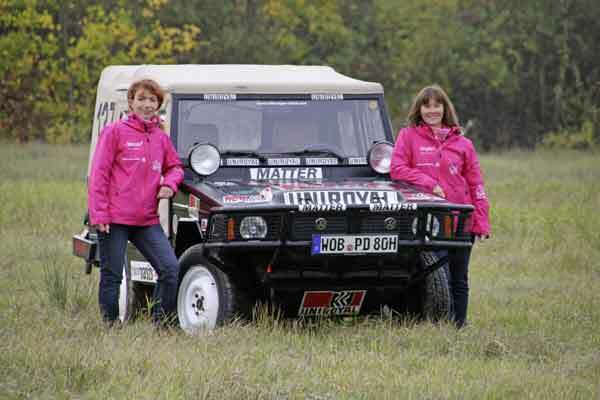 An all female team is competing in “Le Jog” – the toughest rally in Europe in a “Paris-Dakar” Volkswagen Iltis. This weekend marks the 20th anniversary of the ‘Le Jog’ rally, the challenging British winter rally which covers a distance of 2,400 kilometres. Sixty-six teams will be competing in the rally from 7 to 10 December and for the first time, a car from Volkswagen Classic is among the 66 racing vehicles. The Edelhoff/Wukovich Team will tackle the three-day rough-and-tumble endurance rally in a Volkswagen Iltis. The four-wheel drive Iltis (Type 183) is exactly the right vehicle for such a tough rally – just under 10,000 of them were produced by Volkswagen/Audi. The technology of the spartan vehicle formed the basis for Audi’s later Quattro models. Unlike the production version, the race car features a reinforced chassis, underbody protection, a front safety guard, auxiliary lamps, roll-over protection bar, only two sports bucket seats as well as a big 90-litre fuel tank. The power of the offroader is about 90 PS.